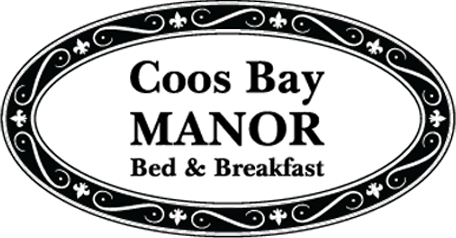 What's going on in Coos Bay, Oregon this week? There are jazz and classical music festivals annually. Other local features include botanical gardens; art and area historical museums; excellent deer, elk and bird watching; and shops and antique stores unique to Coos Bay. Local attractions include artful bridges. Empire Lakes, a great place to take the children swimming, is just 5 miles away. Fossil Point, where fossils are always found, is on Cape Arago drive less than 10 miles from us. South Slough National Estuarine Research Reserve is off Seven Devils Road, less than 10 miles from us. Don't miss our lush forests and spring wildflowers. Sea Kayaking is great at Bandon by the Coquille Lighthouse. Explore tide pools at Sunset Beach on Cape Arago drive, less than 10 miles from us. Check out the boats at Charleston Marina, which is on Cape Arago Highway less than 10 miles from us. Take a gander at the beautiful puffins in Bandon, located along Highway 101 South. This endangered species spends the entire winter alone on the open ocean and then returns each spring to the same mate and nest. From the warmth of the lookout building located on the old Simpson Estate, now part of Shore Acres, the migration of whales between the North Pacific and the warmer climates near the equator is an annual sightseeing highlight. From early September through January, whales can be seen heading south. They return north from March through May. Charter boat trips are also available. Whiskey Run Beach - off Hwy 101 about 20 miles from us - is where the Pacific Ocean generously renews the agate supply every year during the winter. At this time of year, storms are the hardiest and the tides uncover great beds of gravel. This brings the lighter weight stones characteristic of gem material to the top. Remember these agate-bearing beaches often change their surface features, depending on storms and high tides, possibly within just one tides cycle of 6 hours.